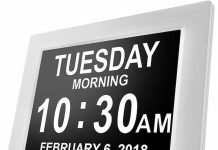 Motion sensor wall switches can detect even the slightest and then automatically turn themselves on which makes these perfect for senior citizens. If you have to get up in the middle of the night to go to the bathroom or kitchen, the motion sensor wall switches can detect motion, and when you enter the room, it can turn itself on when you enter and off when you leave the place, and there is no more motion. This way you don’t have to look for the light switch all the time in the dark since the lights automatically turns on. Please note that this posts contains affiliate links which means that if you click on those links and make a purchase, we’ll make a small percentage in commission, but at no cost to you. Click here to read our disclosure policy. 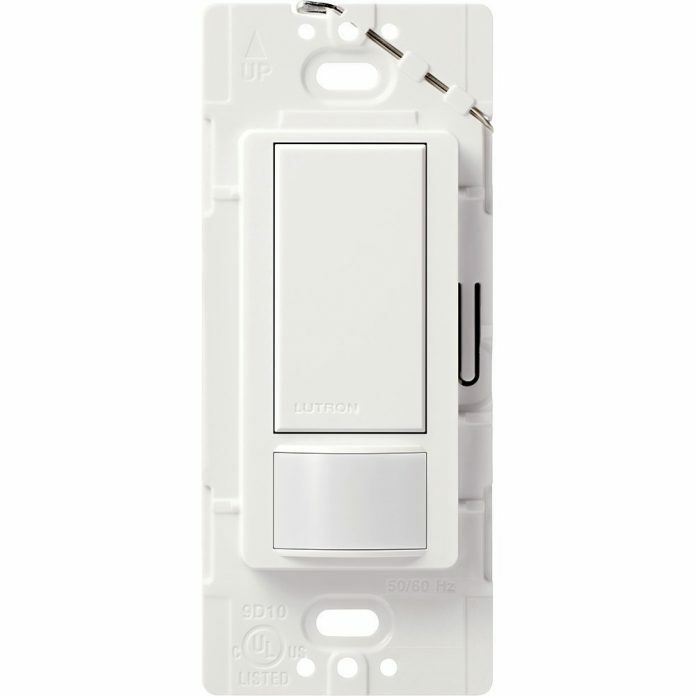 Lutron Maestro Sensor Switch does not require any neutral wire and can detect motion up to 900 square feet. It can easily replace the existing switches in your home. The set up is simple, and it can work with bulbs of all types. This is a single pole switch and is suitable for kitchens, laundry rooms, and closets. It is convenient, stylish and most importantly can give you the comfort needed. This comes with automatic on/off feature besides providing for manual operation too. The switch features an LED green backlight. The time delay is adjustable from 1 minute to 30 minutes and has adjustable sensitivity and light level sensing. However, a wire is required. 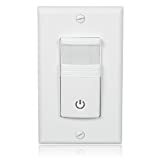 Motion sensor wall switches are wonderful for seniors to avoid having to walk in the dark or have to find the light switch in the dark. These motion sensor lights are battery powered by 3 AAA batteries. 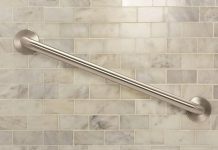 These are excellent as they can be placed almost anywhere without having to hardwire. 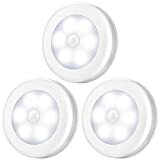 This AMIR Motion Sensor Light automatically turns on when you’re within 10 feet, and the automatically turns off when no motion is detected after 15 seconds. 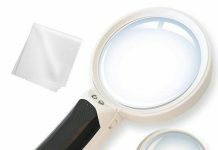 They have a double sided adhesive pads with a magnet that is built it that makes it pretty easy to stick anywhere that you need light. For areas where you have not outlet or hard wire, these battery powered motion sensor lights are the way to go! Apart from making people be able to see the area clearly in any time of the day or night, these switches also help in saving energy. If you forget to turn the lights off, they will automatically turn themselves off when they realize there is no motion in the room. This can lead to signifact energy savings, because it’s many times we forget to turn off the lights in various places in the house. Over a few years the energy savings add up and can be a noticeable difference on the electricity bill. Our goal is to find all the senior discounts in each city and state in the United States. Thank you for visiting our website and being part of our community!